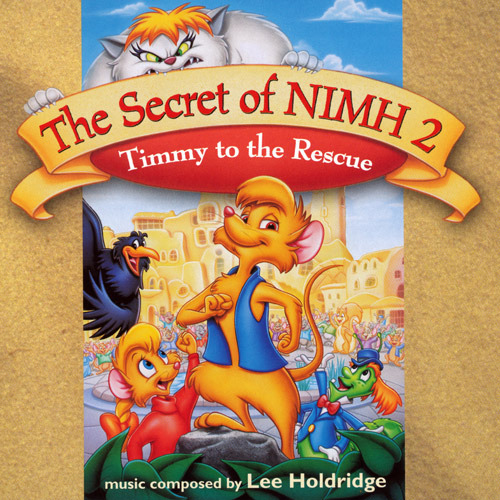 In 1982 Jerry Goldsmith tried his hand at scoring an animated film, The Secret of NIMH. The result of course was a resounding success. and the sad refrain "All I Had is Gone.". The whole thing ends in a splendid choral style with the rousing "Finale.". I bought this CD because I have a child who watched the movie and loved a particular song from the soundtrack. The soundtrack and this particular song were not available on iTunes and I was happy to find it available on eBay. The CD came in and this song and one other on the whole CD were with words. The rest are just music. That is not very entertaining for a 4 year old! In any case, she now has the one song she wanted and if she's happy, we are both happy!